This project seeks to understand how open and collaborative science (OCS) practices could contribute to enhance the production, transparency and visibility of alternative science (AS). We define AS as “scientific research on problems neglected by incumbent scientific & funding institutions, but for which there is a wider social demand”. Examples of alternative science are agroecologícal movements and engaged environmental research. Our claim is that OCS practices have the potential to contribute to the production of AS because they allow civil society to link to the institutional science domain, directing the latter’s attention to wider social problems that have not been addressed by mainstream institutions. One of the main obstacles faced by alternative science is to enhance its performance in relation to what we call “legitimation problems”. Alternative science is attacked for not being as “scientifically valid” as conventional science, mainly because it relies on communities and lay people in the definition of agendas, and sometimes also in data collection, analysis and interpretation. Secondly, AS is, by definition, politically contested and therefore it has to deal with lots of constraints (funding, infrastructure, publication, dissemination, etc.). We believe that OCS practices could contribute towards overcoming both sets of obstacles, by developing new strategies for transparency and validation, and by dramatically increasing the visibility of AS initiatives to a wider audience. What are the practices and aims of open, collaborative and alternative science (OCAS)? Who initiates and who is involved in OCAS, and why? Which aspects of the research process are being opened, and in what ways? To whom is openness and collaboration aimed, and why? What are the consequences (positive and negative) of open and collaborative practices? What tools and methods are being used to practice openness? What resources are mobilized to conduct OCAS, and how have they been obtained? What difficulties and obstacles do actors practising OCAS face? What kinds of legitimacy problems arise in practising OCAS and what are their sources? What difficulties do individuals involved in OCAS encounter (e.g. funding, evaluation, infrastructure)? What kinds of criticisms are raised about OCAS practices and methods, and from whom? What strategies have OCAS actors followed to diminish those difficulties? How have actors attempted to achieve greater legitimacy? What tools could help to improve legitimacy? To understand open and collaborative science (OCS) practices in the context of alternative science (AS) and their consequences. To learn how legitimacy can be improved by promoting OCS practices. We selected two initiatives to perform case-study analysis to fulfill these project objectives. The first case study is an initiative by Physicians from the University of Rosario to produce community-based epidemiology data to identify pesticides poisoning. 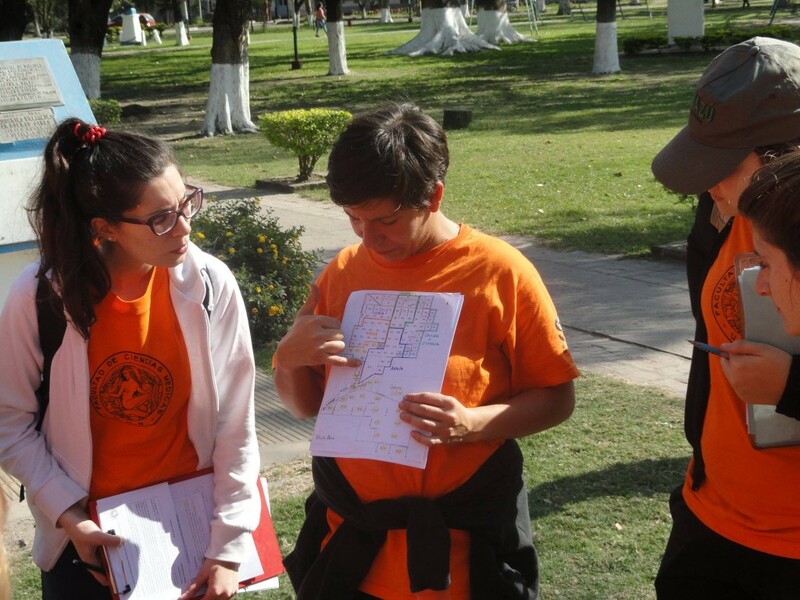 They respond to communities who are worried about their health and they organise Sanitary Camps in different towns of Santa Fe province as part of the medical curricula of the university. They are well connected to the communities and to the stop-spraying and other ecological social movements. The second case study is agroecological initiatives. Agroecology contributes to taking care of the environment, to incentive productive efficiency and to empower communities. It includes a set of practices and techniques. Some of them are traditional and come from local knowledge and some of them are new, and encourage biodiversity, prevent the degradation and the loss of the nutrients in land and guarantee sustainability in the time of production. As part of the research we have hosted a hackathon on Agroecology and Open Data, which approximately 30 people participated. This included agro-ecologist producers, researchers, programmers, designers and experts on electronics. The workshop brought together social, cognitive and productive problems that affect agroecology and new technologies with practices that incentive open science and free culture. From this event we will select at least one initiative to follow up. In AS, openness has spontaneously taken place in some of their research stages. However, researchers are not familiar to the OCS community, nor do they identify with it. Openness is a means to gain legitimacy or to empower communities/social movements. This implies that actors participating in both of our case-studies are not necessarily committed to “openness” as a principle. When science is produced in a context of strong political conflict, “methodological decisions” (which include the degree and type of openness) are considered “political decisions” as well. If we want to promote OCS practices among scientists who make each of their methodological decisions concerned about its political implications, we need to understand and incorporate their political logic in order to discuss research methodologies with them. Moreover, our research may have political consequences for AS initiatives. We face the challenge of how to be academically thorough without negatively affecting the AS initiatives collaborating with us. We face the constraint of accessing critical information for both of our case-studies, also due to the AS focus of our research. Time is needed to create trustworthiness. Agroecology scientists and practitioners work quite separately in Argentina. This makes it difficult to select a proper initiative to be studied. Agro-ecological movements tend to resist some techniques, such as the incorporation of ICTs into practice, so we must be careful when introducing OCS tools to them. There are plenty of definitions and meanings of open science and many hybrid forms of OCS initiatives. Benefits and barriers of OCS practices depend on the specific characteristics of openness. AS initiatives are increasingly opening-up some of their research stages. AS researchers are generally not familiar with the OCS community and practices. Openness is politically driven: to gain legitimacy or to empower associated stakeholders. Instead, AS has the potential to more easily overcome cultural or institutional barriers to OCS since they are less bound by the system.